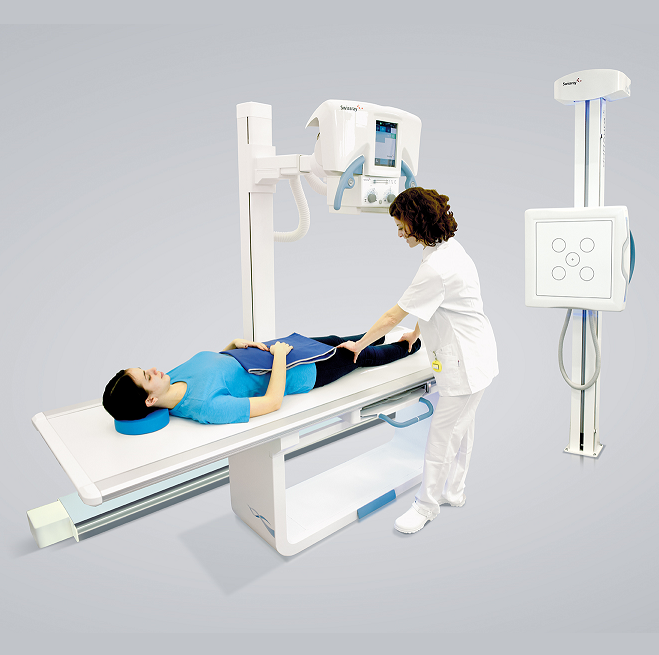 The ddRAura™ FMTS is an affordable and multifunctional direct digital x-ray system. It includes a manually positioned floor mounted tube stand and vertical wall bucky stand and 4-way floating patient table (optionally 6-way elevating). 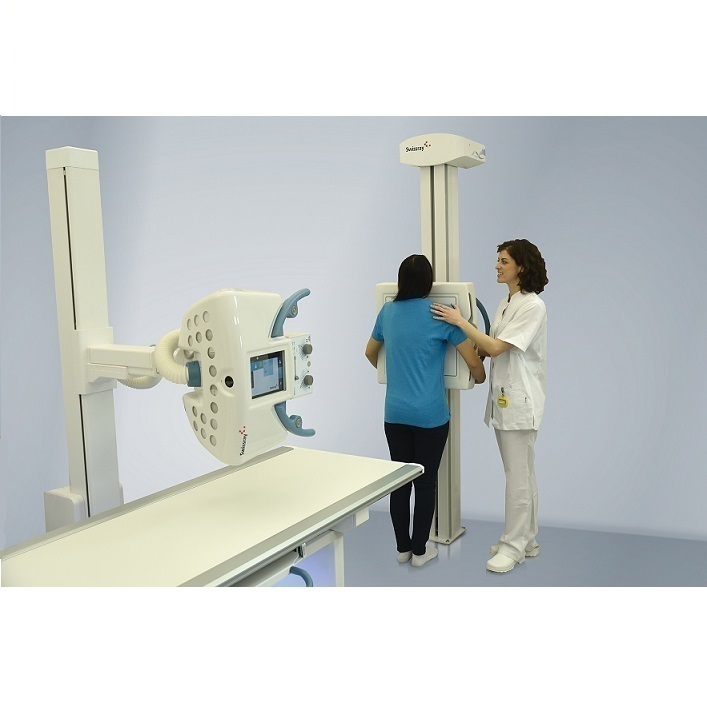 Designed for easy positioning with high flexibility and minimum room requirements, the system can perform a wide range of general and specialized radiographic imaging. Its powerful generator, x-ray tube and collimator and the high quality Flat panel technology is optimized to deliver excellent and consistent image quality. The ddRAura™ FMTS includes an advanced 23’’ multi-language acquisition console supporting a range of detector configurations and sizes providing maximum imaging flexibility. An integrated 9.7’’ tube-mounted touchscreen controls all aspects of the work process including view control of the generator, system position, patient procedure list selection and image preview at the patient’s side. This solution is ideal for hospitals and clinics, busy imaging centers, orthopedic offices, private practices and urgent care. 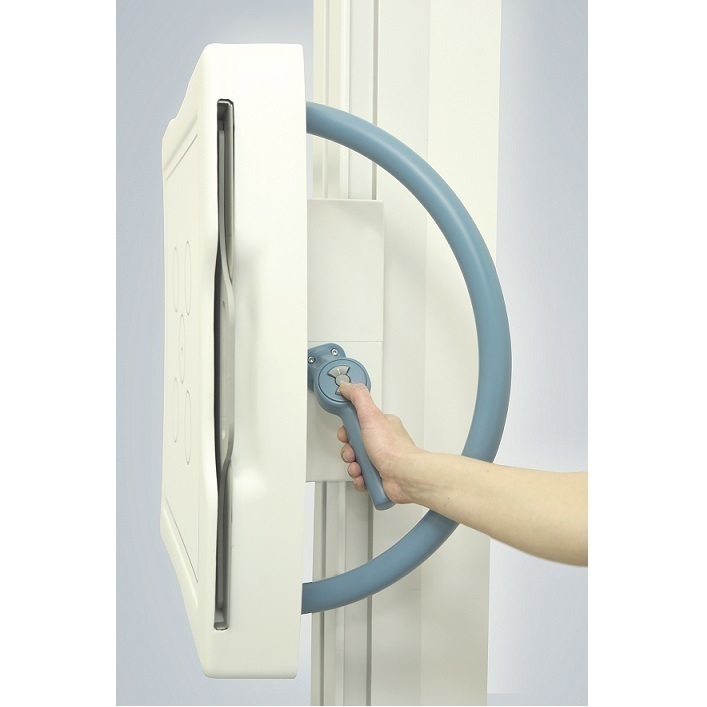 This Swissray DR system offer full positioning functionality, ease of use and the highest degree of image quality for enhanced patient care.